Teenage Mutant Ninja Turtles Mash-Ems. Twist, squish and launch them like crazy! 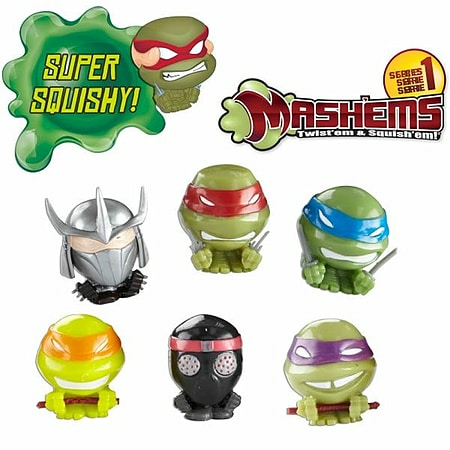 Mash'Ems are liquid filled collectible toys that are taking the world by storm! Collect all 6 Teenage Mutant Ninja Turtles characters and let the games begin! Twist em and Squis em! Assorted styling, no style choice. Each sold seperately.